After centuries of colonization, slavery, exploitation, marginalization and excruciating poverty, African politicians have yet to grasp the nature of manipulable globalization. Years of relative economic retrogression have taken a horrendous toll on all parts of the African economy. To add insult to injury, the African continent inadvertently welcomes with open arms a colossal dose of the negative impacts of globalization. The nature of the African economy itself continues to limit gains from the enormous opportunities in the liberal globalization. 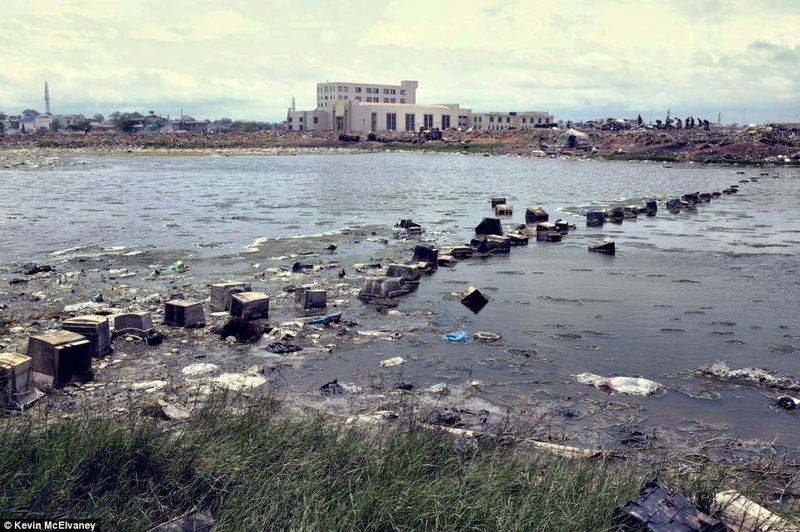 Clearly, globalization by all odds has enabled the African continent to be used as a tolerating and warm-welcoming place for natural resource exploitation and industrial waste dumping. Economies lacking innovation and value creation are largely to blame for these huge miscalculations, and the lopsided relationships. Globalization has taken deep roots in this 21st century that has benefited many countries and enhanced the well being of their citizens. Nevertheless, globalization has had both negative and positive impacts, and it has appeared that historically Africa has embraced mostly the negative sides – from dumping to exploitation. In many ways, Globalization could have helped accelerate development throughout the Continent, but conflicts, wars, corruption, greed, an unstable political system, lack of competent human capital and innovations, and cultural practices which hinder development continue to stifle economic and social progress. These are the manifestations of the overall trend of poor governance and mismanagement on the African continent. The end results of this trend are an avalanche impeding the Continent’s capacity to progress in it's handling of the modern economic landscape, and manipulate the impacts of globalization to the benefit of its citizenry. In reality, the benefits the African economy receives from globalization are in no way commensurate to the Continent’s loss. The African economy struggles because of the scanty benefits its Countries receive from globalization as compared to other advanced Countries. The African continent still remains the poorest on earth, whilst simultaneously being one of the most resource wealthy, because the legacy of African politicians continues to repel these fortunes. The trend of poor governance and mismanagement has hampered the African continent’s capacity to fulfill its developmental goals. Another negative impact of globalization has been the total reliance on foreign enterprises. African countries habitually resort to employing foreign companies to carry out almost all of their infrastructure projects. Almost every project requiring technical know-how in Africa is being constructed by foreign companies. It is not surprising one bit to see Chinese companies building roads, bridges and other infrastructure in every corner of Africa. How many African companies are helping build Chinese infrastructure? A hallmark of all great civilizations has been exceptional development of enterprise, but attempts by African state's governments to encourage African firms and organizations to play front-line roles in economic, social and infrastructure development have always proven futile.This has led to an increasing dependency on outside aid and a net loss to the African economy. ...government over the years still depends on foreign countries to undertake strategic infrastructural projects, including the very basic projects like house building.’ For example in Ghana, ‘these firms in turn sub-contract to local Ghanaian firms at a small fraction of the budget, resulting always in a net drain of Ghana’s wealth to the said countries. The award of a US$1.5 billion housing contract to South Korea’s STX is typical case. It is very precarious if a country cannot rely upon a competent labor force for basic construction works. The effects of the trend of poor governance and mismanagement reflect on the Continent’s failure to fully benefit from globalization to move from a resource-based economy to a manufacturing economy. The African problem is unique and thus a new paradigm should be adopted in addressing the issue of poverty. Political leaders should be role-models for the youth, refraining from corruption and bribery and pushing for competent education and development. To train a society of selfless, innovative and compassionate people, good role models are indispensable. African political leaders should also initiate institutions that will support real democracy and help in the reconstruction of cultural practices that are impediments to societal development. As the continent is far behind in technological advancement, partnerships built on mutual benefit and interest with advanced countries should not be compromised. It will be the responsibility of African countries to ensure that each side mutually benefits in every partnership. To ensure that these happen, African countries will need to train competent, selfless and patriotic people. The posterity in Africa cannot forgive their leaders if they fail to be paradigmatic in building for the future.